From the title of the object Surf “Latten” two things become immediately clear. The first thing is that it inspired by the shape of the surfboard. The second – is that it made of latten. The latten "bottom" hides the engraved motif of rocaille, reminiscent of the drawing of the incoming waves at the same time. 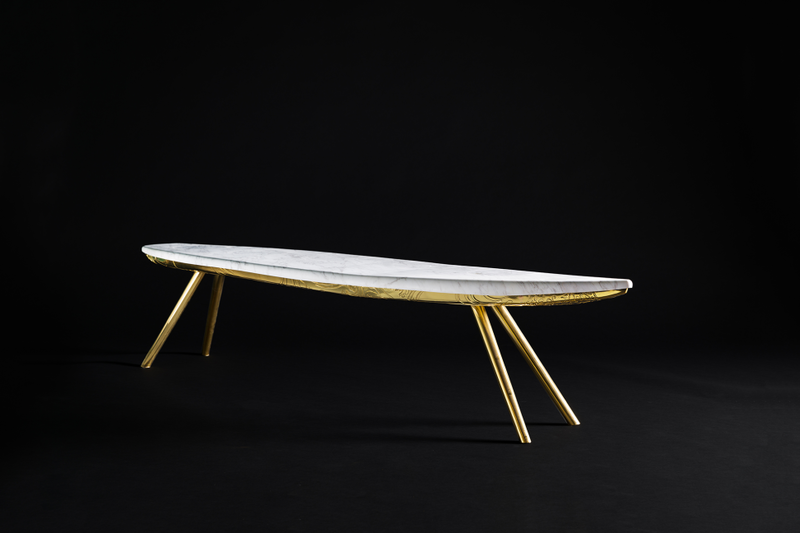 The surface of the table is made of Italian marble, polished by hand of Ukrainian craftsmen. 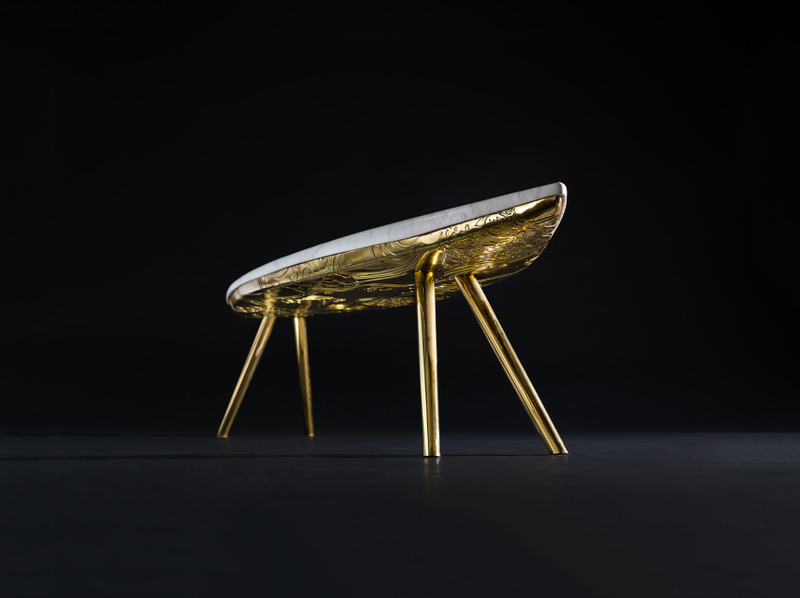 The art object can be used both as a table and as a bench.